Internet Archaeol. 25. Williams. The landscapes of Islamic Merv, Turkmenistan: Where to draw the line? 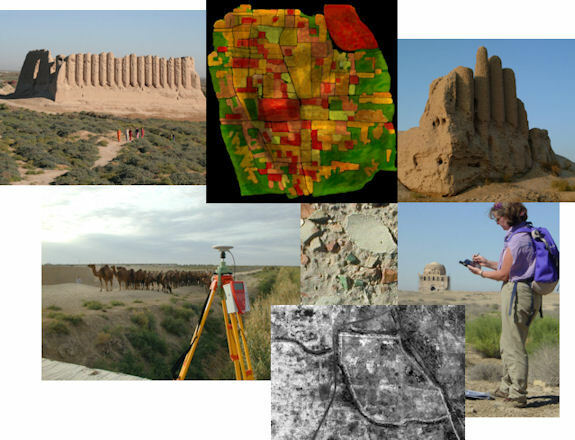 This article outlines approaches for interpreting the Islamic city of Sultan Kala (Merv), c. 8th-13th centuries AD, based upon aerial photographic and satellite imagery. Hierarchies of assumptions (identification of individual wall lines; which frame spaces, rooms and courtyards; which are grouped as parts of specific buildings; which are part of urban blocks) and ontologies (information about these assumptions and the variable confidence of interpretation, from the position of lines to spatial function) provide a dynamic structure for the presentation of data, interpretation and theory. Develop ontological approaches to structuring interpretations and assumptions, within a hermeneutic model. Provide a textual and graphic narrative of the development of the areas. Establish an online forum (weblog) to contribute to the long-term project. Explore the use of other forms of electronic archive material, in particular, how imagery and audio files can be used to develop the discussion of landscapes and buildings.